For a Soviet musician thrown into a mental asylum by the KGB in the mid-1980s because of his anti-Communist lyrics, it was never the best idea, on release, to sing a song about Lenin "rotting in his mausoleum". But that is what the Siberian rocker Yegor Letov did, and it is partly why he was known as "the father of Russian punk" and "the Russian Sid Vicious". As much as any musicians of the time, Letov and his cult group Grazhdanskaya Oborona ("Civil Defence"), widely known as GrOb - which is also the Russian word for "coffin" - could claim to have helped hasten the end of Soviet authoritarianism with first their niggling, later aggressive, often obscene and in-your-face defiance of Communist rule. Their lyrics and music were raw, direct and anarchic, ushering in the spirit of fast-changing times. Before the Soviet leader Mikhail Gorbachev eased censorship in the mid-1980s, which allowed rock bands to perform openly, GrOb's anti-Communist lyrics of rage and desperation were passed around first Siberia, then Russia, and eventually the entire Soviet Union in the form of home-recorded cassettes known as magnitizdat. These had a huge effect on disaffected youth, not least the song "Some Guy Got Killed by a Bus". Letov also performed and recorded with the band of his then-girlfriend, the Russian punk Yanka Dyagileva, until she committed suicide in 1991. He married Natalya Chumakova, the bass guitarist with GrOb, in 1997. Ironically, Letov morphed into an odd blend of Communist-nationalist-Christian in post-Soviet Russia, a fact that turned off the newer wave of post-Cold War musicians. In the early 1990s, he was involved with the dissident Eduard Limonov in the founding of the National Bolshevik Party, since banned, merging his solo concerts with its rallies. Despite criticism of his apparent ideological turnaround, until shortly before he died his solo concerts, and those of GrOb, continued to sell out. Siberia is not the place you first think of when you think of punk music, but that is where, in 1964, in the city of Omsk, Igor Fyodorovich Letov was born to a Russian army officer and a nurse. He opted for the first name "Yegor" when he began playing the guitar, at first influenced by western bands on records passed down to him by his elder brother Sergei, who became an avant-garde jazz saxophonist. Yegor Letov formed his first band, Posev, in 1982, and began performing underground in Omsk, his gravelly bass voice mixing Siberian folk lyricism with rock- and punk-influenced riffs. Two years later, after he founded Grazhdanskaya Oborona in November 1984, his lyrics became increasingly political, bringing him to the notice of the KGB. In late 1985 he was committed to a mental hospital, a tactic regularly used against dissident writers, and forced to take anti-psychotic drugs which, he said later, gave him spells of blindness. Released after three months, he was even more defiant, recording what would become perhaps his best-known song, "Everything's Going According to the Plan", which became a hugely popular anti-Soviet anthem. After his transformation into a "nationalist-Communist" in the 1990s, Letov upset many of his fans by rejigging the same song to have its lyrics taken literally, as a pro-Communist eulogy. More of the old-time fans were lost when he sang a song called "Motherland" and came out with a nostalgic album in 2002 called Meteor Shower, containing cover versions of children's songs from the Soviet era. Igor Fyodorovich "Yegor" Letov, musician and songwriter: born Omsk, Soviet Union 10 September 1964; married 1997 Natalya Chumakova; died Omsk 19 February 2008. 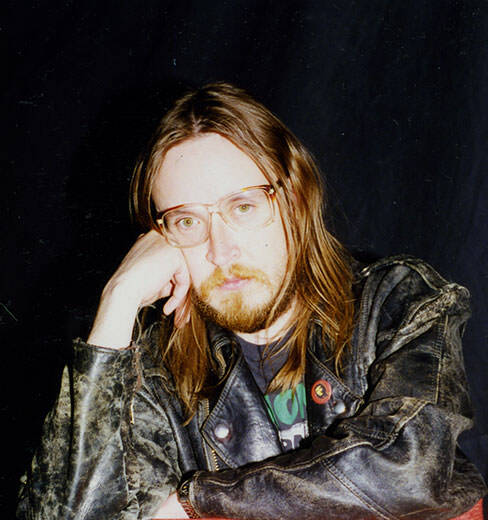 Yegor Letov was a leading figure on the Russian punk-rock scene. In the late 1980s his band, Grazhdanskaya Oborona (civil defence), was a loudly confrontational presence on the anti-Establishment music scene, known for its abrasive sound, a repetitive beat hammered out in a mood of desolation reinforced by lyrics that ran from melancholy misanthropy to obscenity. The band's name was usually abbreviated, with appropriately dark humour, to Grob, meaning coffin. While its output would not have sounded surprising to a Western ear, in the Soviet Union the 1980s were the days of magnitizdat, when secretly recorded tapes of underground concerts were passed from hand to hand. Much of the music was officially banned because of its antitotalitarian, anti Soviet lyrics and its Western-influenced form. Igor Fyodorovich "Yegor" Letov was born in 1964 in Omsk in Siberia. His father was in the military and his mother was a doctor; both were avid readers, and young Yegor grew up with a large home library. He loved reading, counting Dostoevsky, Sartre and the avant-garde poet Vvedensky among his favourite authors, and remembered his childhood fondly, despite his difficult, occasionally violent, relationship with his father. At school Letov was an average student but he enjoyed and excelled in music. He learnt to play the guitar and as a teenager had already started composing songs. After school he started to work as a designer in a factory but soon gave it up to devote himself to music. Like many of his generation, born into the stagnation of the Brezhnev era, Letov sought in music not only an escape from state orthodoxy but also an arena where he and his contemporaries could express their fierce contempt of state rhetoric. He formed his first group in Omsk in 1982. Its name, Posev, came from a dissident journal published by the NTS, a patriotic anti-communist organisation founded by emigres in Belgrade in 1930. The choice of name revealed much about Letov's personal and political philosophy at the time. His views would change in the course of his life, however: after starting out as anti-communist and anarchist, he later came to define himself as a real communist, and in his final years thought of himself as a "global Christian". By 1985 Posev had changed its name to Grazhdanskaya Oborona, and with that a musical cult was born. Its lyrics were no less offensive to the Establishment than its Western-influenced form. Official taste did not run to rock music, and the band signally failed to supply one of the key requirements of the Soviet aesthetic: the positive hero. Grazhdanskaya Oborona was not without antecedents. As the old Soviet artistic forms became sclerotic in the 1960s and 1970s, and in the absence of a state sponsored alternative, new styles had developed organically and were seized on by a public hungry for change. Such singer-songwriters as Okudzhava and Vysotsky were among the initial developments in this direction. Vysotsky's abrasive vocal style came not from a lack of talent but from a conscious rejection of the polished Soviet vocal form. His lyrics reflected life's brutal, sordid details with biting wit and infectious humour. He also brought the surreal, long a bugbear of the Soviet Union, to the public stage. That early generation helped to break the boundaries imposed on art by the Soviet elite and prefigured such groups as Grazhdanskaya Oborona. The group's outspoken lyrics and challenging posture soon attracted official attention, and in what was one of the Soviet Union's last attacks on "anti Soviet" activity and elements, one band member was called up for military service, while Letov was sentenced to three months in a mental institution. While the band, like others on the underground music scene - notably Kureikhin, KINO, Mashina Vremeni and Yanka Diaghileva - clearly had no future in the Soviet Union, at the same time, being defined by the State as dangerous only added to its reputation - at home and abroad. Letov's lyrics took the cliches of Soviet rhetoric and subverted them with contemptuous cynicism. He started to record the songs on his first official album, Nasty Youth, in 1985, but it could not be released until 1999. Not only did he sing about such forbidden subjects as army deaths in Afghanistan, but also he did so in a forbidden style - pessimistic nihilism. In 1987 Grazhdanskaya Oborona made its mark on the music scene, taking part in the groundbreaking, illegal concert in Novosibirsk and then making a grand tour of Soviet Russia, to Sverdlovsk, the Baltic, Kiev, Moscow, Leningrad and Barnaul. The Novosibirsk concert marked the birth of post-Soviet pop music, and the State knew that there was little it could do to stem its growing popularity. Although musically crude, Letov's early work had an urgency and sincerity that deserves recognition. His oeuvre - he produced more than 40 albums - divides critics, some accusing him of being merely a misanthropic poseur, others claiming his work as a crucial element in the social movements that led to the collapse of the Soviet edifice. Misanthropy was certainly present in his work - his response to official optimism was a visceral hatred of Soviet daily life - as were elements of surrealism and whimsicality, as in song titles such as I Don't Feel Like I Am Wearing My Own Trousers, and KGB-Rock and such lyrics as "Life is like sour cream, life is like a feather bed". One song, Comrade Gorbachev, combines the lyrics "You need a house to love, you need a house to die, you need a house to walk about with no trousers" with the statements "Gosplan forbids me to love, Gosstroi forbids me to love, punish them comrade Gorbachev, punish them, father of the nation". Letov retained a loyal following in Siberia, but by the 1990s Russian rock had begun to diversify as other styles emerged. Although he remained, with Grazhdanskaya Oborona, a respected figure on the music scene, his work had lost its urgency. His lyrics became more reliant on obscenities to shock the audience, and the music itself became cruder. His politics shifted towards the Right as he became involved with the National Bolshevik party, an organisation whose name consciously echoed the National Socialist party. Letov enjoyed a rock'n'roll lifestyle, and despite his later claims to spirituality, drugs, drink and loose women were priorities for most of his career. His second wife survives him. OMSK Igor "Yegor" Letov, the musician who single-handedly created the Russian punk rock scene in the face of restrictions by the Soviet authorities, has died of heart disease at his home in Omsk, aged 43 (Andy Heath writes). After years of isolation and incarceration Letov developed a following in the West after the fall of communism. He first attracted attention, and a KGB file, in 1985 when he blended Siberian folk music with influences from illegally collected Western records. A growing, global audience afforded Letov and his band Civil Defence some protection but he remained on the fringes of the music industry.